Vespers at the old cedar tree. 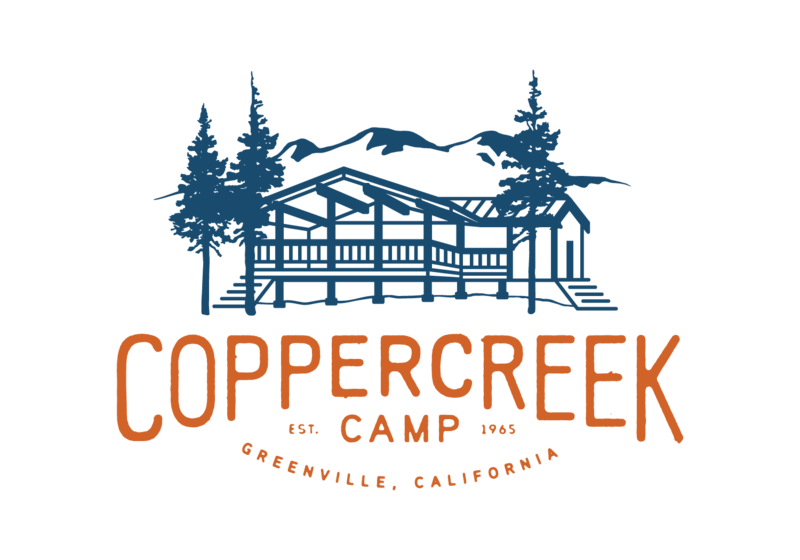 Ever since Coppercreek Camp welcomed their first campers in 1965, every Sunday (when it isn’t an opening Sunday) is Vespers. In the picture above, Lynne is sharing a thought with the campers at the old cedar tree on the SouthEast corner of camp. 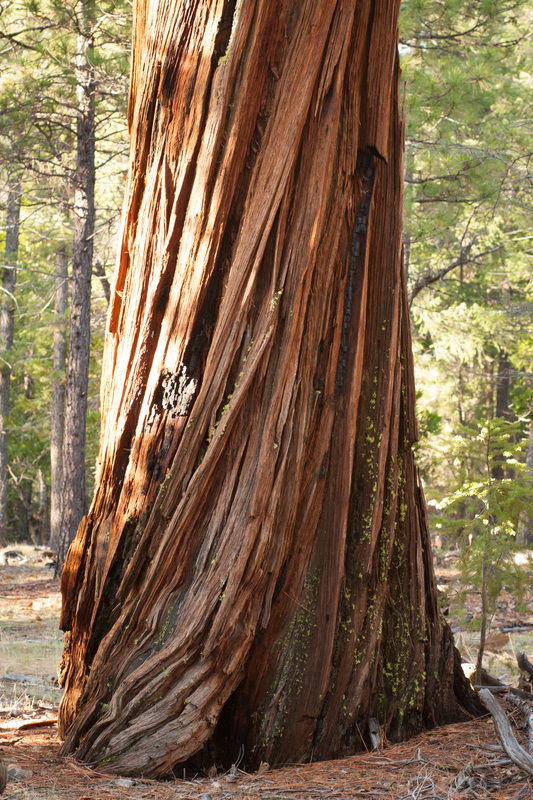 The old cedar was harvested by loggers after the fire in September 1979 (a later story) against John’s wishes. He had to give in to make the salvage operation profitable and pay for replanting the land. Since then we have moved on to the ridge above the Staff House where we can see the sunset. There is another huge cedar nearby which has taken the place of the Vespers tree for me. I go down there sometimes just to sit and think. I run my hand over the bark as the deep musty smell from the surrounding woods filters through the air. It’s a beautiful tree, still strong, healthy and tall. 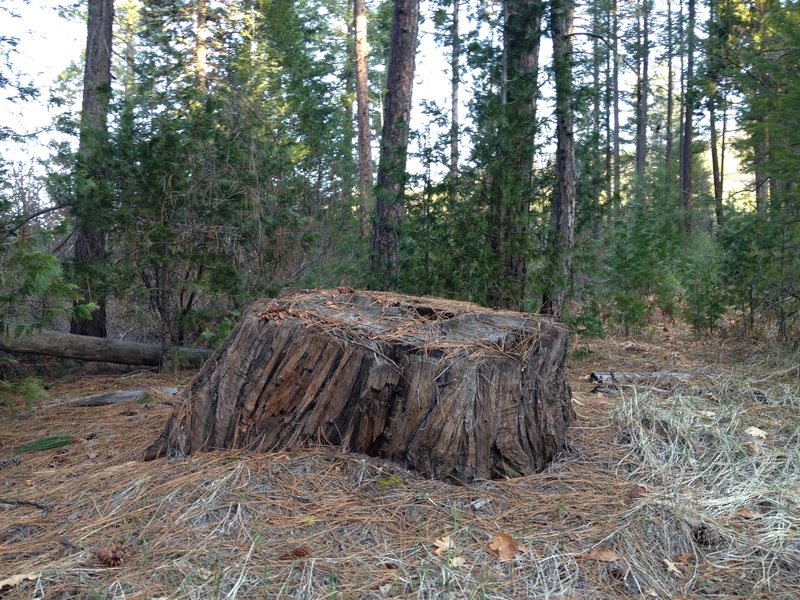 The neighboring tree fell this winter, its base rotten and roots decayed. 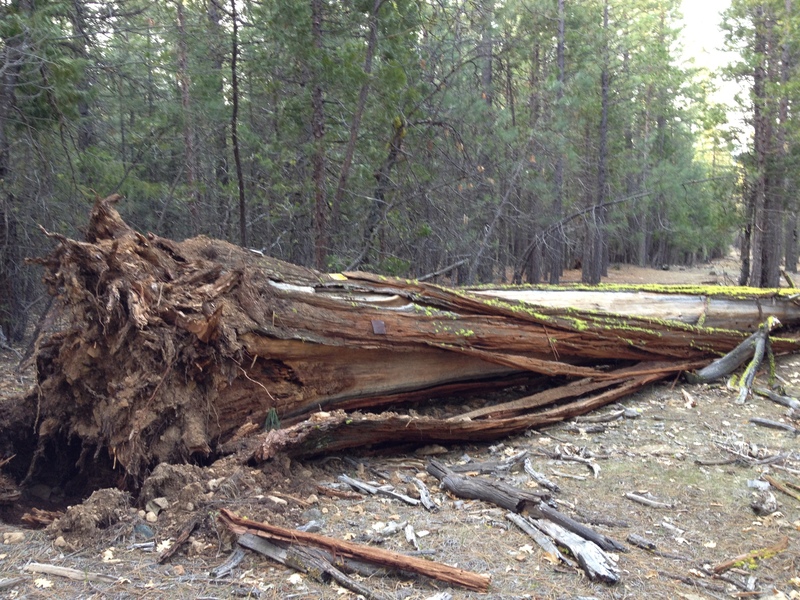 It must have been quite a sight to see and hear when this tree came crashing down in a furious winter storm. There are only a few large cedars left at camp. I believe about five. The most famous one is probably the one that guards Campfire and casts shadows on the stage in the firelight. 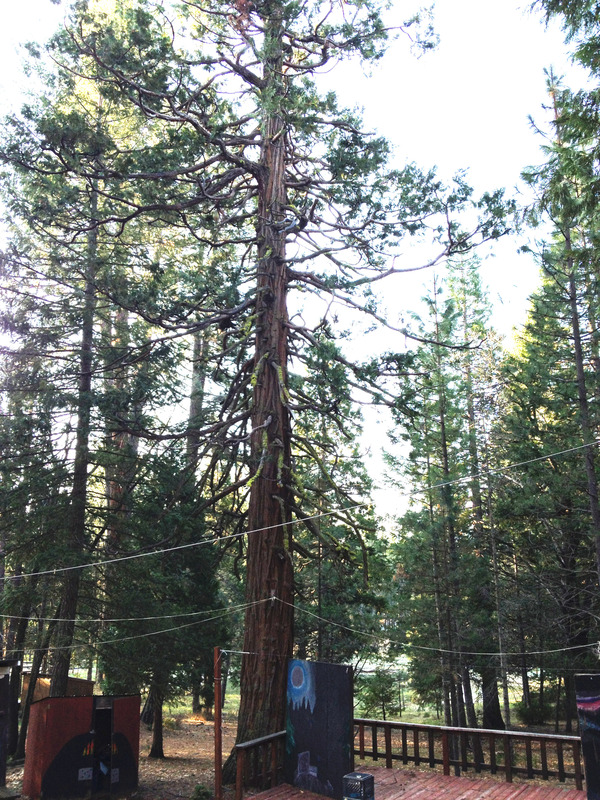 Almost five decades of campers have looked up at that tree every time they sat on the logs surrounding the stage. They are like sentinels, their silhouettes rising above the canopy, keeping order in the forest and when they fall, I leave them to rest. Even though they are quite valuable as wood products, it seems right to let them nourish the earth and shelter the animals that make their home at camp. I well remember looking up at that cedar next to campfire and thinking, “Finally! I’m here! Again! Thank goodness!” I’m sure my “finally,” which seemed so arduous a time span to wait for through the school year, was very small indeed compared with the “finally” that cedar might contemplate. A good reminder that we all feel time differently. What a beautiful and thoughtful post; the true spirit of camp whispers through this story and through the boughs of those magnificent sentinels.